When I came home from the Triangle MQG retreat, I needed a quick recipe as I was off to a the Triangle MQG pot luck in 3 hours. What could I do??? 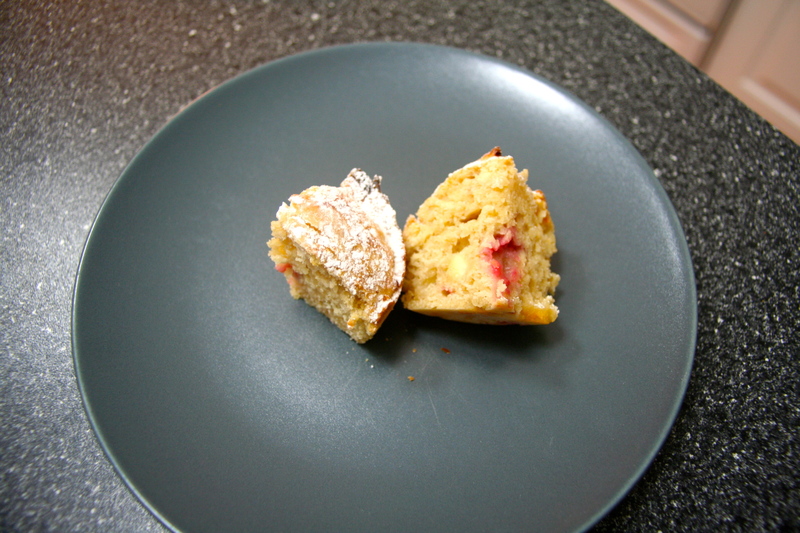 How about Mini Raspberry + White Chocolate muffins. This recipe took me ~10 minutes to make + ~ 10 minutes to bake. They turned out great and were so delicious!! Perfect for this time of year. Pre-heat oven to 415 degrees F (215 degrees C). Sift the flour and baking powder into a bowl. Add the brown sugar. In another bowl, lightly beat the eggs, add the milk and butter. Add the liquids to the flour mix and mix until just combined. Stir in lightly, the raspberries + white chocolate. Spoon the batter into 2-3 greased mini muffin tins/forms. Bake for 12 minutes or until skewer comes out clean. 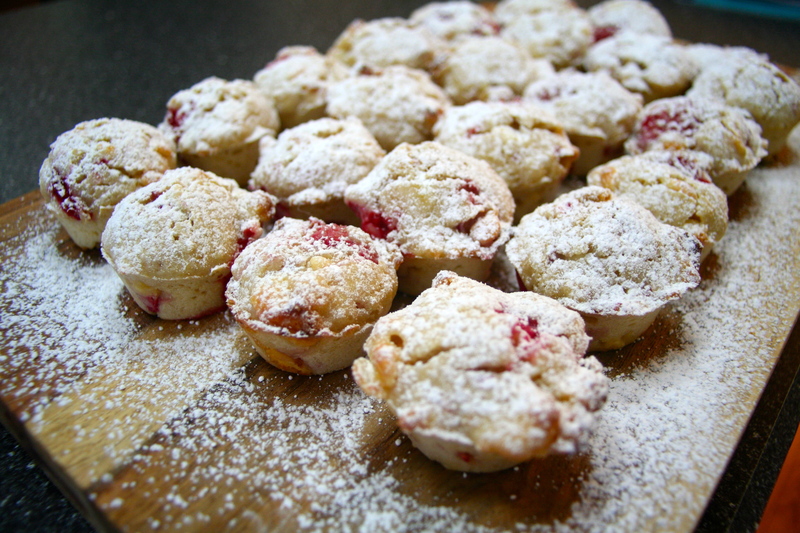 Place muffins onto a tray to cool. Serve with a coat of icing sugar. For the rest of the week, I am trying to concentrate getting my meals back on schedule and to a plan. Here is our week’s menu. This entry was posted in Uncategorized and tagged breakfast, life style challenge, muffins, raspberries, recipes, snack, sweet, white chocolate, White Chocolate muffins on November 19, 2013 by mlwilkie. These look tasty! I am sad I missed the potluck, but happy to have the recipe for my own now. Thanks!